The farmer and his family live in this beautiful homestead. There is space for a comfy kitchen-living room downstairs. Upstairs, a ladder leads to a small loft for the family. Who shall sleep there? 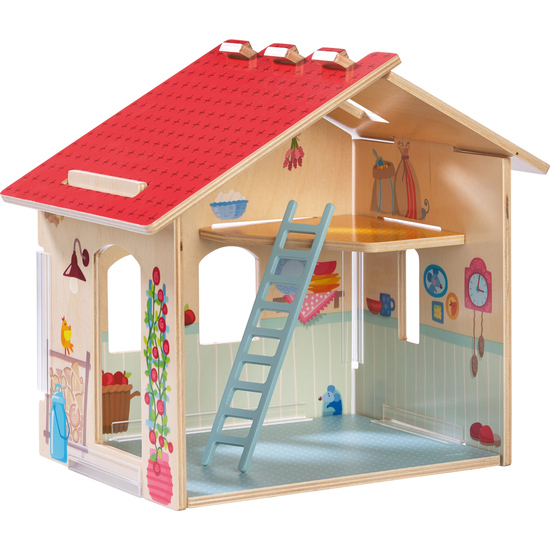 Children can design the homestead just as they like with any of the dollhouse furniture sets. The printed plywood plates are easily assembled with plastic sliders.